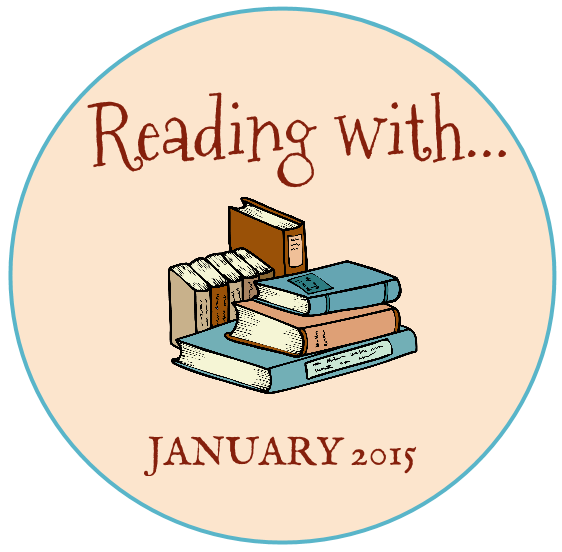 In this new monthly feature I'll be recording my experiences reading with my toddler daughter. These will include my observations of her behavior with books, a current list of favorite titles, and tips from my experience that may help other parents. Morning reading. On many mornings, Miss Muffet wakes up, grabs a book, and "reads" to herself for a little while before we even know she is awake. I have started leaving a few sturdy board books in her sleeping space so she can get to them easily when she wakes up. It's a much better start to the day than fussing or crying! Paperbacks. Miss Muffet loves paperback books. I gave her two review copies I was finished with and she has explored them fully, including folding and ripping many of the pages. It's nice to be able to hand her some books that she is allowed to destroy in order to keep from destroying every book she encounters. Preferences. As she becomes less of a baby and more of a toddler, Miss Muffet is also starting to make her preferences known. When she wants a particular book to be read, she will throw it or bang it against something until a grown-up takes notice. If the story ends, and she wants to hear it again, she immediately starts to cry until she is either distracted by something else or someone begins the book over again. I think she could easily listen to the same book 25 times in a row. Labeling. Though Miss Muffet does like to listen to a story, she has started interrupting frequently to point out pieces of the illustrations and ask me to label them, Often, she will say "Whassat?" or "Da?" and if she likes a particular word, she will point to that item several more times so I will repeat it for her. I see this paying off greatly in her vocabulary development; there are now dozens of animals and objects she can recognize by name, even if she can't yet say the words. This is a short lift-the-flap book, also from the library. It focuses on animal sounds. For some reason, Miss Muffet got the idea that every time she opens a flap, she should scream at the top of her lungs. Even now that I know to expect it, I still laugh hysterically every single time it happens, which probably does nothing whatsoever to discourage her. There are others in this series, and I plan to seek them out on our next library trip. I consider this a picture book for preschoolers, so having a 14-month-old sit still and listen to it repeatedly amazes me. Surprisingly, it is not the monkeys who catch her attention, but the peddler himself, and his colorful caps. I am trying to teach her to point her finger, shake her fist, and stomp her feet like the peddler does when he begs the monkeys for his caps back. So far, she just seems to like watching me do those motions, but I know one of these days she will surprise me by joining in. DK My First Word Board Book This was one of her favorite books of 2014, but now that she is so into labeling, it has taken on a new significance for Miss Muffet. I get tired of reading the same labels over and over again, so I try to incorporate songs with as many pages as possible. On the food page, we sing "Going on a Picnic" and on the Farm page, we sing "Old MacDonald" and on the transportation page, we sing about every vehicle to the tune of "The Wheels on the Bus." And occasionally, when I can't take it anymore, I hide this book. 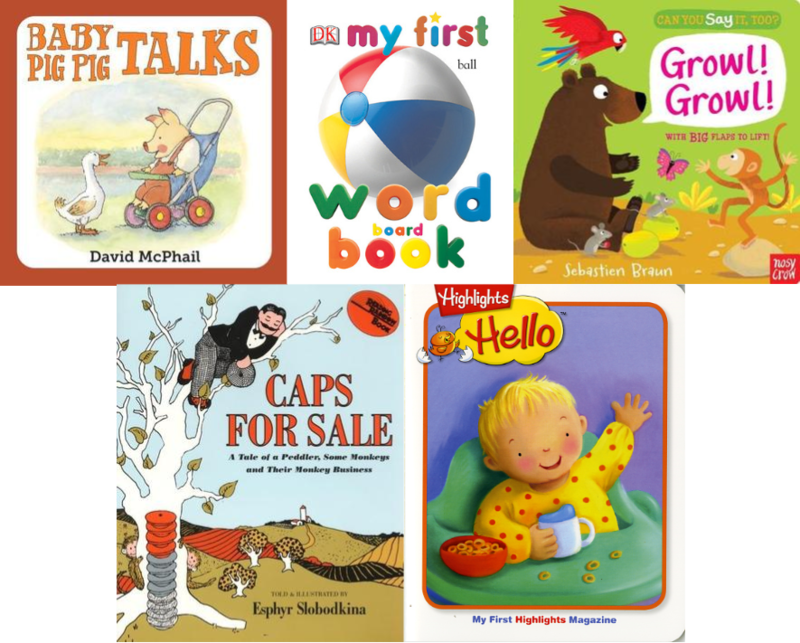 We have subscriptions to both Babybug and Highlights Hello. The first issue of Hello that we received has a story in it about sitting in a big, soft chair, and Little Miss Muffet absolutely loves it. We usually read the whole magazine at least once a day (it's short), but sometimes we do an encore (or five) of just that one story because she can't get enough of it. Read when the mood strikes. Sometimes we start a book, and it becomes clear immediately that Miss Muffet is much more interested in something else. In that case, we set the book aside and try again later when she is more receptive. Always read when asked. If Miss Muffet brings me a book, I almost always read it unless I am in the middle of something that can't be interrupted. I don't always indulge every demand for repeat readings, but I will usually do at least two encores before trying to move her attention to something else. Talk about the pictures. Sometimes instead of reading a book straight through, we choose a page or two and just spend some time with the illustrations. I name objects for her to find, or ask her to label items I know she has the words for. This kind of interactivity often keeps her engaged better than reading what is written.